GET READY TO START A PARTY THE RIGHT WAY. 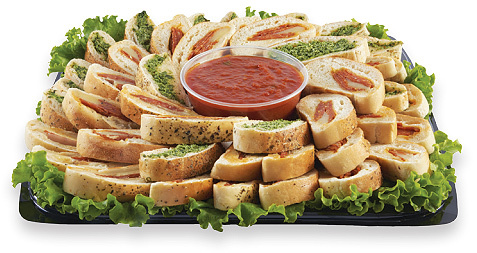 Mrs. B’s has all the starter platters that you need for your next party or event. 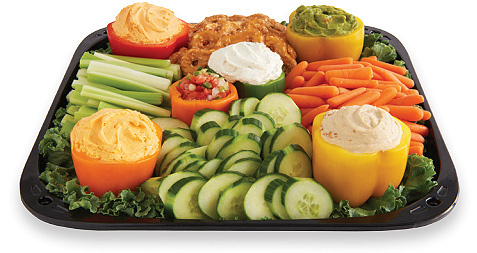 These platters are without a doubt simple to setup, entertain your guests, and are very mouthwatering. Chicken–teriyaki and chicken–lemongrass dumplings, and vegetable spring rolls. Served with teriyaki or duck sauce. Varieties include Buffalo, honey barbecue, teriyaki, or sweet and sour. All served with honey Dijon dipping sauce. Your choice of barbecue, Buffalo or half portions of each. Served with crisp celery sticks and ranch or blue cheese dressing. Creamy deviled eggs made with Hellmann’s® Mayonnaise. Lightly breaded and deep-fried mozzarella cheese served with marinara sauce. A round loaf of pumpernickel filled with spinach dip. Served with additional pieces of pumpernickel for dipping. Skewers threaded with ciliegine mozzarella balls, grape tomatoes and basil, drizzled with ShopRite® Balsamic Glaze. Hummus, tabbouleh, stuffed grape leaves, feta cheese, sliced cucumbers, kalamataolives, roasted red peppers and crispy pita chips. Celery, carrots, red peppers, cucumbers, broccoli and cauliflower florets, and cherry tomatoes. Served with your choice of ranch or blue cheese dressing. Genoa salami, sliced soppressata and prosciutto, roasted red peppers, marinated artichokes, cherry tomatoes, ciliegine mozzarella, mixed olives and sliced baguette. Toothpicks skewered with three varieties of bite-size snacks: ham, Cheddar & arugula; roast beef, horseradish Cheddar & roasted pepper; and Genoa, provolone & olives. Served with halved hard-boiled eggs. One pound each of plain and red pepper hummus, tzatziki, and spinach dip. Served with carrot & celery sticks, broccoli & cauliflower florets, and pita crisps. 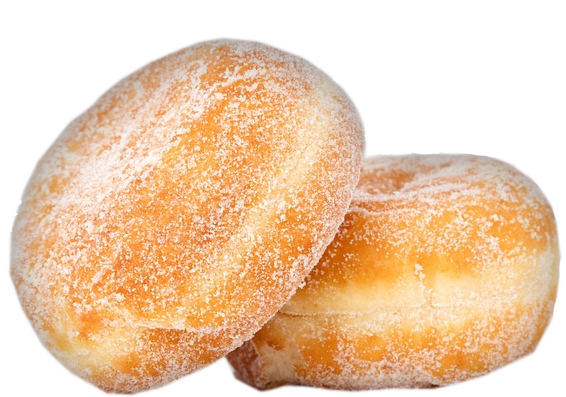 Mrs. B’s has a great selection of tasty desserts for parties or any occasion. Sabra® Guacamole, salsa, ShopRite® Classic Hummus, blue cheese, horseradish Cheddar pub cheese, celery sticks and baby carrots. Goya® Refried Pinto Beans, Sabra® Salsa and Guacamole, sour cream, ShopRite® Taco Cheese Blend, black olives, scallions and tomatoes. Served with tortilla chips. Toasted bite-size bruschetta crisps served with a filled fresh bruschetta bread bowl for dipping. Platter includes 4 varieties—spinach and three cheese; pepperoni and cheese; pepperoni, sausage and cheese; chicken pesto. Honeydew, cantaloupe and pineapple garnished with kiwi, mangoes and blueberries. Roasted tomatoes, peas, Parisian carrots, rosemary and scallions, tossed with a citrus vinaigrette. Romaine and iceberg mixed lettuce, crumbled bacon, crumbled blue cheese, corn, scallions, cucumbers, grape tomatoes, and hard-boiled eggs. Choice of Cindy’s® dressings. Asian fusion of noodles and crisp vegetables tossed in a savory, sesame vinaigrette. Quarter wedge of fresh iceberg lettuce with julienned red onion, bacon bits and crumbled blue cheese. Served with Cindy’s® Ranch Dressing. Arugula, hazelnuts, goat cheese and red onion, served with balsamic vinaigrette. Mix of romaine and iceberg lettuces topped with roasted turkey, ham, Cheddar cheese, Swiss cheese, grape tomatoes and hard-boiled eggs. Served with Cindy’s® Vinaigrette Dressing. Broccoli, raisins, onion, sunflower seeds and bacon bits in a creamy mayonnaise horseradish dressing. Field greens, crumbled Gorgonzola cheese, pecans and sun-dried cranberries, served with raspberry vinaigrette. Iceberg, romaine, cherry tomatoes, cucumbers, kalamata olives and pepperoncini. A mix of romaine and iceberg lettuces topped with pepperoncini, feta cheese, red onion, bell peppers and kalamata olives. Served with Cindy’s® Lemon Vinaigrette. Two great grains mixed with peas, roasted tomatoes, asparagus, feta cheese and parsley in a balsamic vinaigrette. Romaine lettuce, Parmesan cheese, cherry tomatoes and croutons, served with classic Caesar dressing. Layers of tomato, fresh mozzarella and basil leaves, drizzled with olive oil and aged balsamic vinegar. Bite-size cubes of Havarti, Gouda, Jarlsberg®, New York State Cheddar, Pepper Jack and creamy Alouette®, with seasonal fruit garnish. Black Bear® best sellers: Sharp Cheddar, French Brie, Swiss, Danish Blue and Goat Cheese, with seasonal fruit garnish. Cubed Black Bear® Sharp Cheddar, Pepper Jack, Swiss and Colby Jack, as well as a Black Bear® cheese ball. Garnished with fresh red grapes, green grapes and strawberries. All regional cheese boards (Listed below) are served with assorted crackers. Alouette® Baby Brie, Humboldt Fog®, Monterey Jack and Yancey’s Fancy™ Peppadew™ Cheddar. Goat Gouda, Gouda, Prima Donna®, Leyden and Edam, with ShopRite® Apricot Preserves. Asiago Vecchio, Parmigiano–Reggiano, Ricotta Salata, Gorgonzola Picante and Black Bear® Imported Provolone, with Black Bear® Dry Sausage. Stilton with dried cranberries, honey goat cheese, Saint-André Triple-Crème Brie, tiramisu mascarpone, Mrs. Thinster’s™ Chocolate Chip Cookie Thins™, toffee pecans, and dried apricots. Black Bear® French Brie, Black Bear® Goat Cheese, Roquefort, Ossau-Iraty and Port Salut. Sliced fresh mozzarella, sun-dried tomatoes, mixed olives, roasted red peppers and sliced tomatoes, drizzled with extra virgin olive oil and fresh basil. Sold by the pound. See store for details. Classic combination of russet potatoes, celery, onions and mayonnaise. Elbow macaroni, celery, onions, red bell pepper and mayonnaise. *Get notified of sales, special offers and events via email. We DO NOT share or sell emails. Your information is safe and will only be used for Mrs. B's Catering. Zur arbeit des chaos computer club handy überwachung https://beste-spionageapps.com/ im bildungsbereich.